Amber Patterson's Blog - Allied Mortgage Group, Inc. Does buying a home require a massive down payment? Think you need a huge down payment in order to buy a home? Then you’re in for some good news. The “need” for big down payments is a myth in today’s lending environment. Truth is, programs offered by three federal agencies are helping borrowers buy a home with little or no down payment. Federal Housing Administration: With a minimum down payment of 3.5%, FHA-insured loans are the low-down option that’s available to the most borrowers. Veterans Affairs. Formerly the Veterans Administration, this agency guarantees no-down payment mortgages for qualified veterans, active duty personnel, reservists/National Guard members and some surviving spouses. For more details about these programs, give us a call. Money: At closing, you’ll be paying for your share of the closing costs and any down payment. Since cash and a personal check won’t do, you’ll need to bring a certified check or cashier’s check. You’ll get the amount you need to bring with you a few days before closing. A pen: You’ll be doing a lot of signing and initialing. None of the numbers you should see at closing should be a surprise. Shortly before closing, your loan officer should provide you with documentation of what your final numbers should be. These documents spell out all the financial details of your home purchase, including your closing costs and who – the buyer, seller and lender – pays what. Your ID: You will be required to show proof of identification, such as your driver license or passport. Proof of insurance: You’ll need documentation proving you have obtained homeowner’s insurance, and perhaps flood insurance, if it’s required as a condition of your loan. Once you’ve completed the process of closing, your home purchase will be recorded with the county or other government entity. Then, you get the keys and you’re officially ready to move in! Buying a home after bankruptcy? Yes, you can. Yes, a bankruptcy can stay on your credit report for up to 10 years. But, that doesn’t mean you have to wait that long to buy a home. In fact, you could be eligible to apply for a mortgage sooner thank you think. Save, save, save: The more money you have saved for a down payment, and the more money you have squirreled away for emergencies, the better your chances will be of getting a loan approved down the road. Make monthly bill payments on time: Ideally, you’ll want to aim for at least 12 months of consistent, on-time payments for all your monthly obligations before you apply for a home loan again. Keep all your documentation showing you made the payments on time. Rebuild your credit: After a bankruptcy, you’ll want to take on small amounts of consumer debt and pay them off as promised. 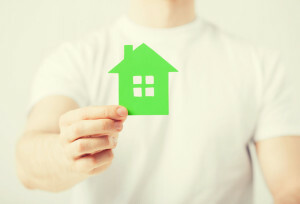 You want to show a housing lender that since your bankruptcy, you are handling credit responsibly. Part of doing this is using only a modest portion of the credit that’s available to you and paying your bills promptly. Choose colors wisely. Darker paint colors and tones can bring warmth to a room and make it feel cozy, but when a space is small to begin with, they can make it feel like the walls are closing in on you. Choose light and airy colors to create an open feeling and make a space seem larger. But that doesn’t mean everything needs to be white and sterile. Accessorizing with pops of color or accent pieces will keep things interesting. Go easy on the furniture. Using too much furniture, or the wrong scale of furniture, can induce a feeling of claustrophobia. For example, if you have a small living room, a giant sectional sofa may not be the best furniture choice. Too much furniture can have the same effect. A room should be open enough that you have space to move around in it. If furniture is blocking walkways or restricting access, it’s probably the wrong scale for the room. Use multi-purpose pieces. Multi-functional pieces, such as a bed with storage drawers underneath or an end table that’s also a bookshelf, can help make your room feel bigger. Keep clutter under control. Trinkets, knick-knacks, or too much stuff everywhere can be overwhelming. Keep rooms free of clutter to make them feel more open and spacious. 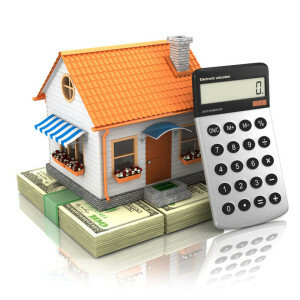 When you buy a home, there is a specific amount of money you will need to pay to secure the house. The rest of the cost of the house can be divided into monthly payments using a home loan. The following is how you can figure out how much cash you’ll need when you use an FHA loan to buy a house. The FHA loan is the easiest loan to qualify for because you can have less than perfect credit and the down payment requirements are the lowest. You will need to work with your lending institution to find out if you qualify for this type of loan. However, if you are approved, you can expect to pay about 3.5% of a house’s sales price. The amount of cash you need for a down payment all depends on the cost of the house. If the house is $200,000, you will need to pay 3.5% of it, which is about $7,000. This amount does not cover other costs, such as closing costs. This can be about $4,000 for a home of this value. Depending on your savings, you will have to seek a home that falls within what you can afford. If you can’t pay $7,000, you may need to purchase a home that is $100,000. This down payment would be about $3,500 without factoring in closing costs. Once you save enough money for a down payment, you will also need to save money for at least two months of mortgage payments. This means that if your mortgage is $1,000, you will need at least another $2,000 in your bank account to cover your mortgage in case anything were to happen to you financially. Other costs have to do with a home appraisal and closing costs. A home appraisal can cost anywhere from $400 to $600. You need to pay for it. It cannot be rolled into the loan. Closing costs are usually about 2% to 5% of the house’s sales price. The good news is that this can be rolled into the loan. For an FHA mortgage, you can roll in up to 6% of the home’s value into the loan for closing costs. All you need to do to start the process of buying a home is to meet with a lending institution to figure out how much you can afford. Once you know the home price range you need to stay in, you can start looking for a home. Using a real estate agent or realtor can help you find a house that has what you’re looking for while staying within what you can afford as far as down payment and other fees.